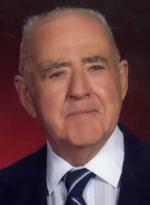 Myron â€œMikeâ€ Helvie, 89, a resident of Co Rt. 53, Scriba, passed away May 9, 2010 at the Oswego Hospital. Born in Oswego, he was the son of the late Otto Helvie and Lillian (Batchelor) Helvie Rogers. He worked for Niagara Mohawk for 39 years retiring in 1982 as a Maintenance Supervisor. Mike raised and showed Arabian Horses. He was an avid hunter and loved the outdoors. Surviving are his wife of 52 years, Laurel (Sivers) Helvie; four daughters, Sharon (Sidney) LaBrake of Va; Melanie Helvie of Oswego; Lorilee New of Tucson, AZ; Shelly Fenzl of Oswego; a sister, Marie (Ben) Brooks of Tenn; six grandchildren; eight great-grandchildren and one great-great grandchild. He was predeceased by his first wife, Eileen Holly, two sons, David and Bruce Helvie, a sister, Shirley Botting and a grandson, Stanley Helvie. Memorial Services will be held 11a.m. Saturday, July 10th, 2010 at the First United Methodist Church, Oswego. Donations can be made to the First United Methodist Church, 7111 St. Rt. 104 Oswego, NY 13126.